Indulge in a variety of cuisine as you dine overlooking the beautiful Gulf of Mexico on Sanibel Island. 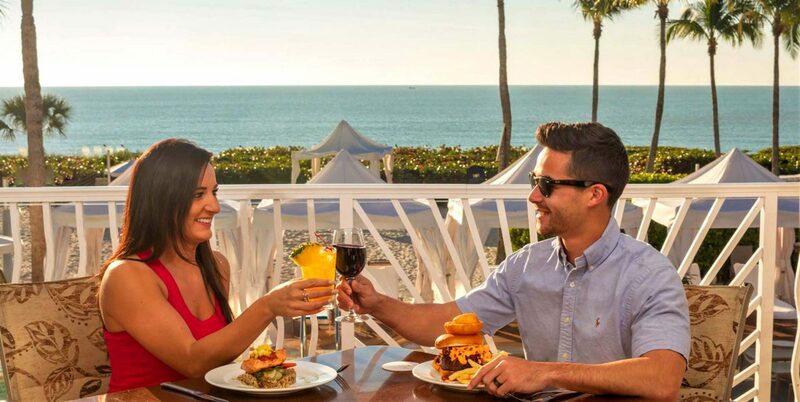 Voted Best Waterfront Dining in Southwest Florida, the Sea Breeze Café offers Gulf-front indoor and al fresco dining options with gorgeous Gulf vistas and a full-service bar. Shima Japanese Steakhouse & Sushi Bar offers an authentic Japanese experience and was named Best Sushi, Best Steak and Best Chef on the Islands. For the same award winning sushi, Shima Grab N Go offers made to order sushi and sashimi for those on the go. Turtle’s Pool & Beach Bar serves up delicious Island favorites and frosty drinks at the tiki bar and patio. Slice of Paradice invites guests to enjoy pizza, subs, hot dogs and hand-scooped ice cream. At Sundial, guests can satisfy their appetites and enjoy breathtaking views without ever leaving the resort.